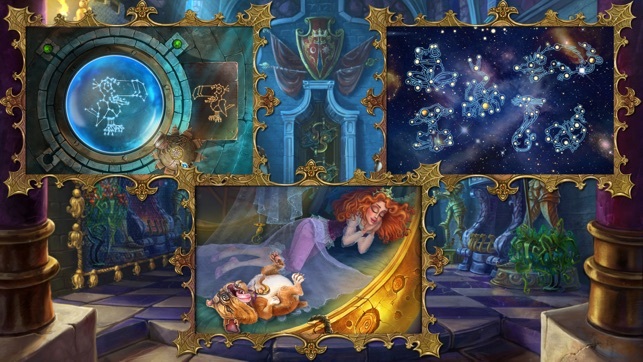 This hilarious hidden object adventure takes you on a puzzle quest for love. 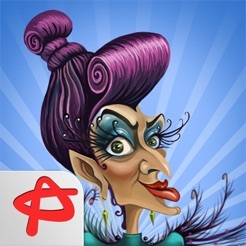 Meet colorful fairy-tale characters and solve tons of mini-games to ensure happy ending. 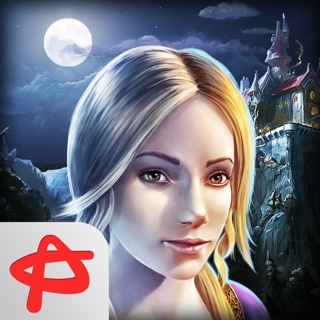 An elderly and ambitious witch decided to realize her dream and wed a prince charming. The only trouble was that all noble bachelors appeared to be engaged. All of them were picked up by beautiful princesses. 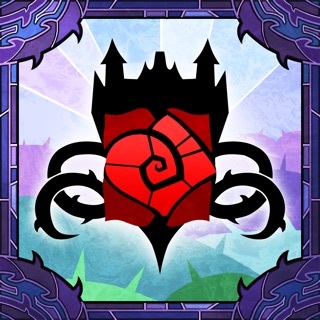 Back then a cunning plan germinated in her dark soul - to turn the princes into frogs unless and until someone agrees to marry her. So, now you are tasked with a fun quest to help a frog princes reach their beautiful brides in order to remove the witchcraft by kiss of love. 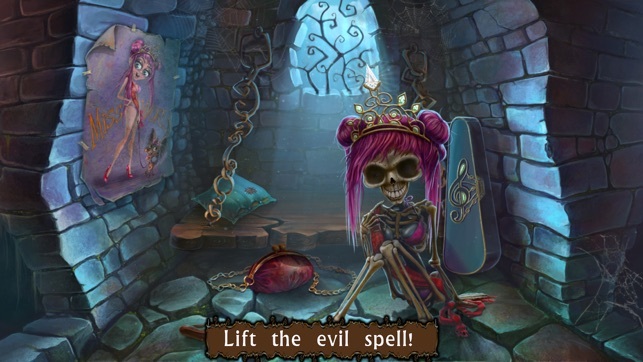 You are going to escape a dungeon, release a princess in the tower, learn a couple of magic spells and much more to achieve your goal in this entertaining point n’ click game. 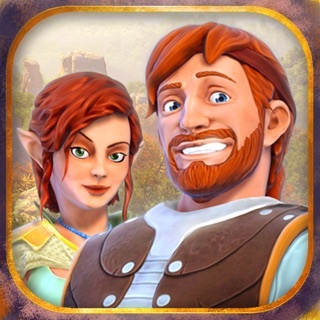 Though, amusing storyline and laughable videos are not the only killing features of this family-friendly adventure game. 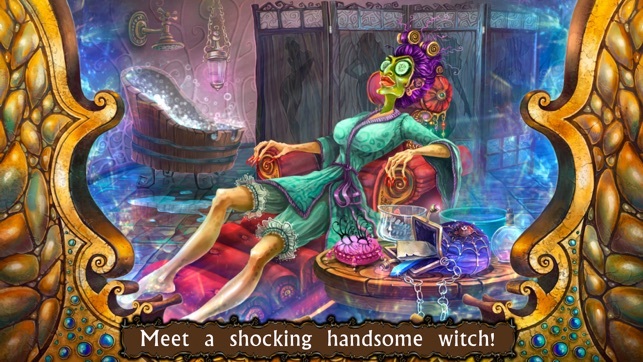 Witch’s Pranks: Frog’s Fortune is rather a point and click adventure than your ordinary finding games. 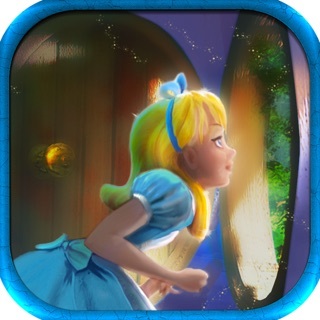 It has almost no hidden object scenes, but rather find-and-apply puzzles. 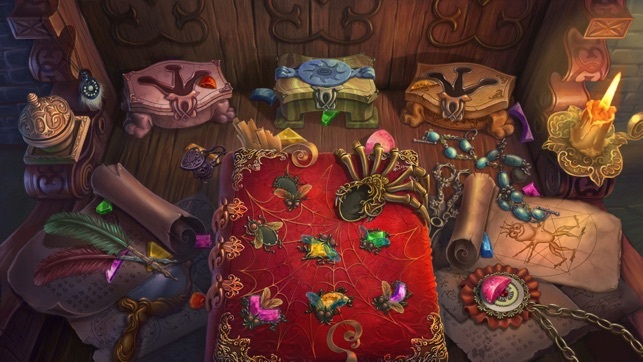 For instance, you should collect all jewels and place them a book cover. Or, otherwise, you should brew a potion by picking different ingredients from the shelves and mix them in the correct sequence. Please, mind that some locations are scrollable, which makes finding objects more challenging. 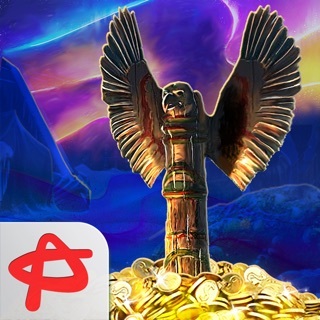 Apart of the above described puzzlers, this adventure offers a number of classic logic games. These are snakes sliding puzzles, and a starlight game. In the latter you have to rotate an image to match a blueprint. Other brain-twisters are mostly matching games of different genres. 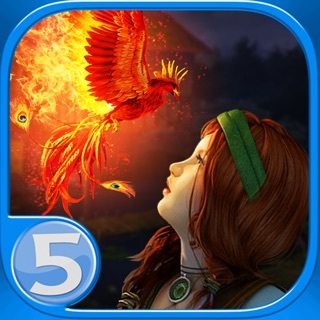 In other words, this quest is more about wandering and thinking than searching for hidden objects. 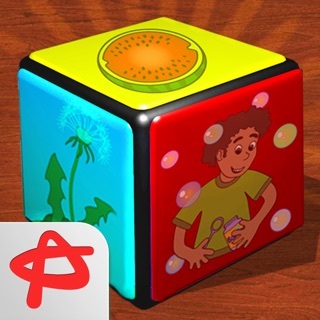 So summon upon your logic skills and good humor to solve all brain-teasers. In any case, Hint button is always there to help you progress through this comical HOG. Thank you for your feedback! We are glad to announce that we've added all localizations to play the game! I liked the intro enough to pay $5 thinking it would be a game that would be worth it but after playing a little over a day it was over cute game but foul to charge that amount for such little content upset I wasted $5!!! I had a lot of fun playing this game. It was pretty easy and took me about 4 hours to complete. The graphics are great, the story line easy to follow. More of a point & click than what I would call a HOG, but still fun. 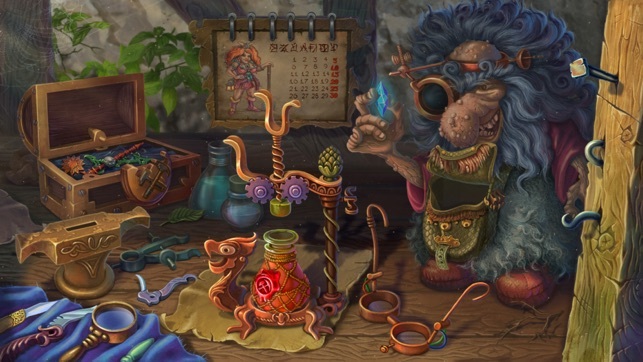 There's a good amount of puzzles and some basic hidden object scenes where the scenes are find these pictured objects instead of a list of words and are usually very simple and easy to find the objects quickly. Great game!